Grow Your Traffic with a Link From Our Site! 1-2-3's of Internet Marketing currently holds a Google PageRank of 4. 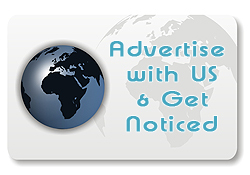 Buying advertisement on our site with a link back to your site will increase your own site's Google PageRank number. We offer many ways, for many budgets, to advertise your site on our site. Payments notice: All advertisements are set up using PayPal Subscriptions. This means you will need a PayPal account to set up the payments. Since payments start immediately, you should have your banners available upon purchase. Cancellation of advertisement can be done either through your PayPal account or by clicking the 'Cancel Subscription' Button at the bottom of this page. Text links are keyword phrases with your link back to your site. They are placed either on the left side bar of the pages or within the body content of the pages. ALL TEXT LINK ADS REQUIRE PRE-APPROVAL prior to purchasing subscriptions. Webmaster For Hire holds the right to approve or decline text ads at their discretion and with email written notice. Sizes available are 468(w) pixel x 60(h) pixel (Top & Footer Ads) and 225(w) pixel x 125(h) pixel (Sidebar Ads). Rotation: Prices below are for inclusion into rotation on refresh in the specified areas. If you want exclusivity on specific page(s), please contact us by to inquire.